Australian paparazzi were whipped into a frenzy when Angelina Jolie flew into Sydney with her six children in tow. The Oscar-winning actress is here for her second directorial effort, Unbroken, which is expected to have a Christmas 2014 release. The film is about Olympic distance runner Louie Zamperini, who survived 47 days on a raft in the Pacific Ocean after a plane crash, before being taken as a prisoner of war by Japanese forces for two and a half years in WWII. The Jolie-Pitt clan are in the country without Mr Pitt, who is still in the UK working on his new film Fury, though the family man is expected to visit soon. They are currently staying at the InterContinental Hotel in Sydney, which has stunning views of the famous Harbour. There have been reports that the family will soon relocate to a mansion in the exclusive Sydney suburb of Vaucluse. Vaucluse is on the South Head peninsula just 8km from the Sydney CBD. The suburb previously boasted Australia’s most expensive residential sale for ‘Tahiti’, a Hawaiian-style property that sold for $29 million in 2007. 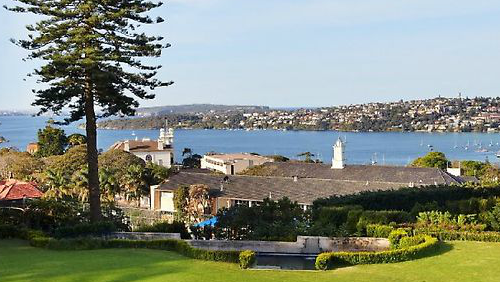 The title is currently held by Angela Bennett’s Mosman Park mansion, which sold for $57.5 million in 2009. Another Hollywood megastar, Leonardo DiCaprio, camped out in a Vaucluse property while in Australia filming Baz Luhrmann’s The Great Gatsby. When he resided in the $10,000-a-week mansion, he enjoyed waterfront access and a private jetty. The home was bought for $14.275 million in 2002 by prominent Sydney businessman Alastair Walton. However, the five-bedroom residence will not be enough to accommodate Jolie’s ever-expanding family and entourage of staff. There are also rumours that a particularly grand mansion in eastern Sydney will be ready for the family to occupy – ‘Barford’ in Bellevue Hill. 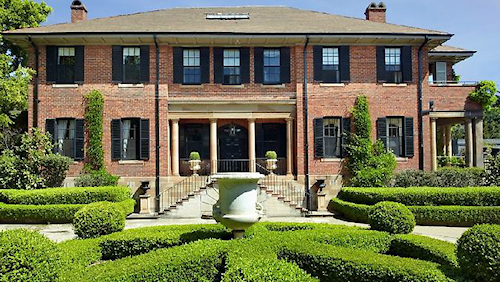 This historical residence can be rented for up to $40,000-a-week. With seven bedrooms in the main house, it could be perfect for the superstar couple and their large group. The extensive property will be suitably shielded from the media with state-of-the-art security, and it conveniently contains a separate self-contained house for staff. 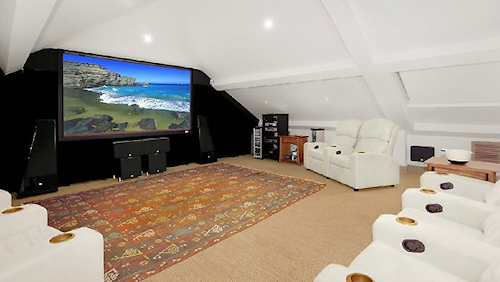 The heritage listed house even has a home cinema – perfect for Ange to review her footage from the day’s shoot. 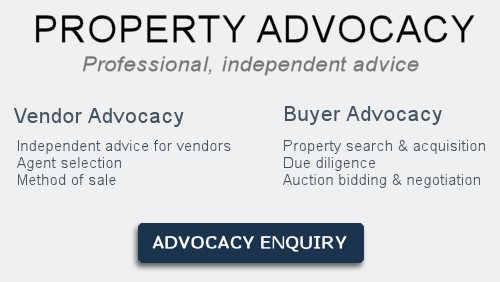 It also has sweeping views of Rose Bay, Sydney Harbour and Manly. Sounds like the perfect place for the world’s most famous family to reside for the next few months! Only time will tell where they end up, though there’s no doubt the brood will continue to be in the news during their Australian stay. Heather Scott has a passion for film and all forms of screen media. She is interested in film distribution and production, both local (Australian) and international. Property Style and Goss > Angelina Jolie Calls Australia Home – But Where?